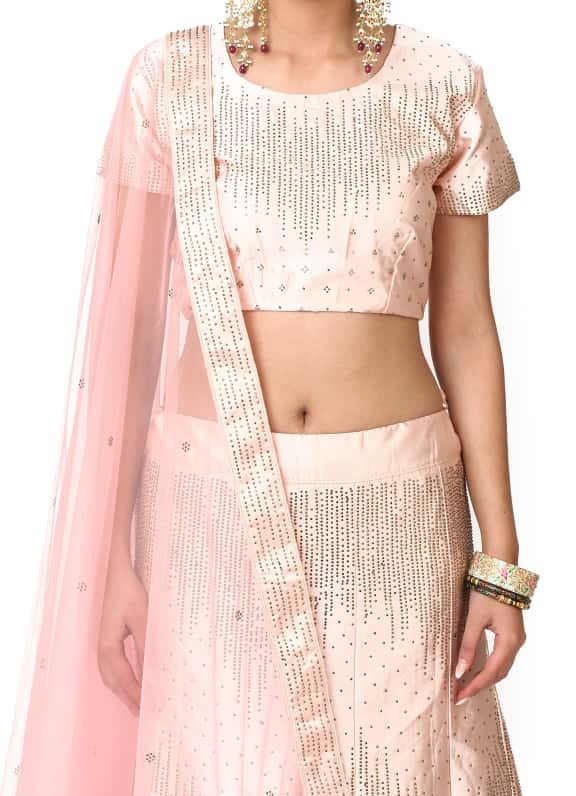 This ensemble features a baby pink blouse and skirt with bead work set in satin base. 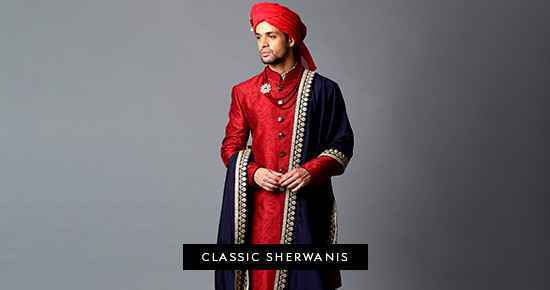 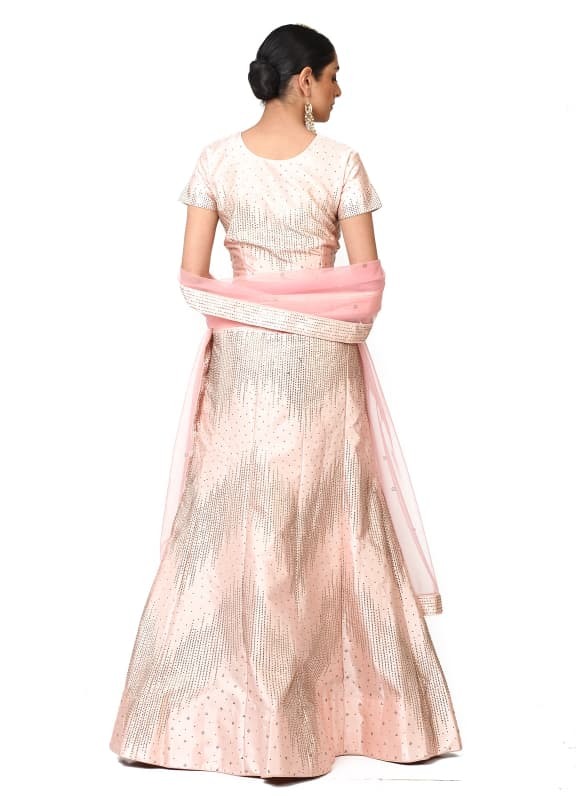 It comes with a matching net dupatta. 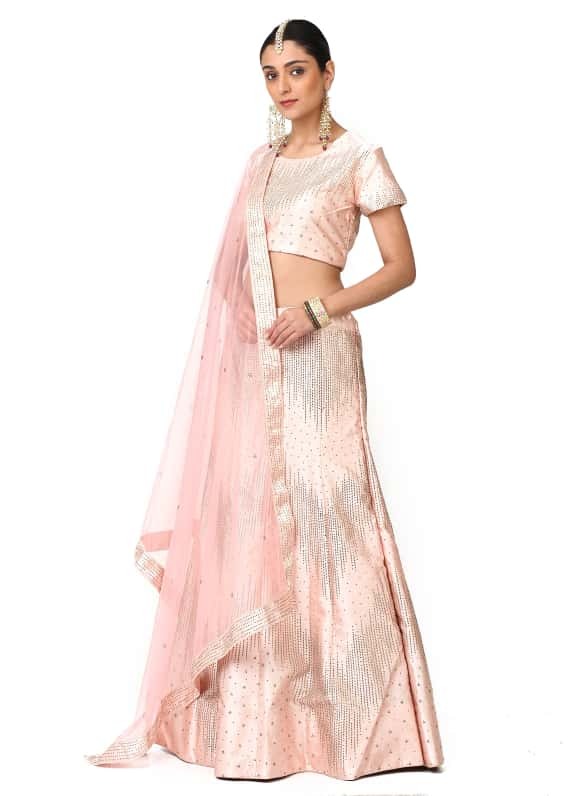 This muted hued ensemble sets the perfect tone for a sangeet night. 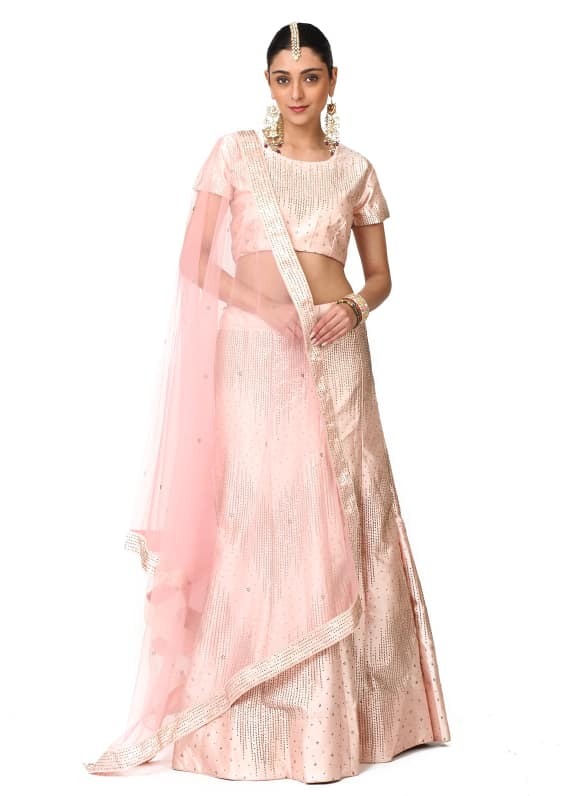 Wear this lehenga with a statement maang tikka, earrings and a subtle lip.